Arrr, matey! 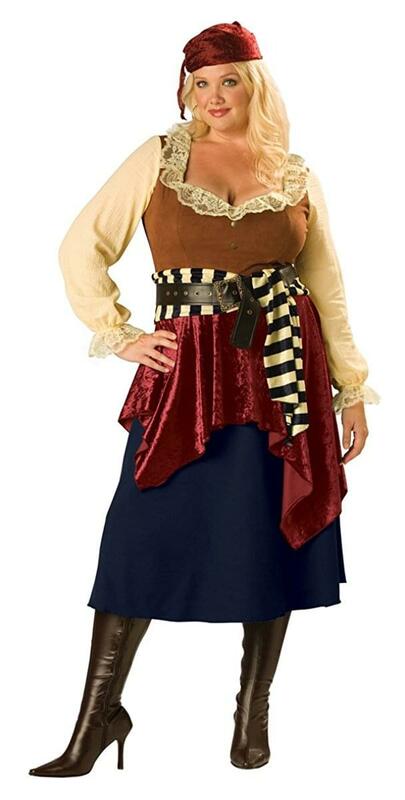 Turn heads this Halloween with this Buccaneer Beauty adult costume! 100% Polyester costume consists of an attractive pirate dress, waist sash, scarf, and belt. Adult plus sizes. Boots and other pirate costume accessories not included.